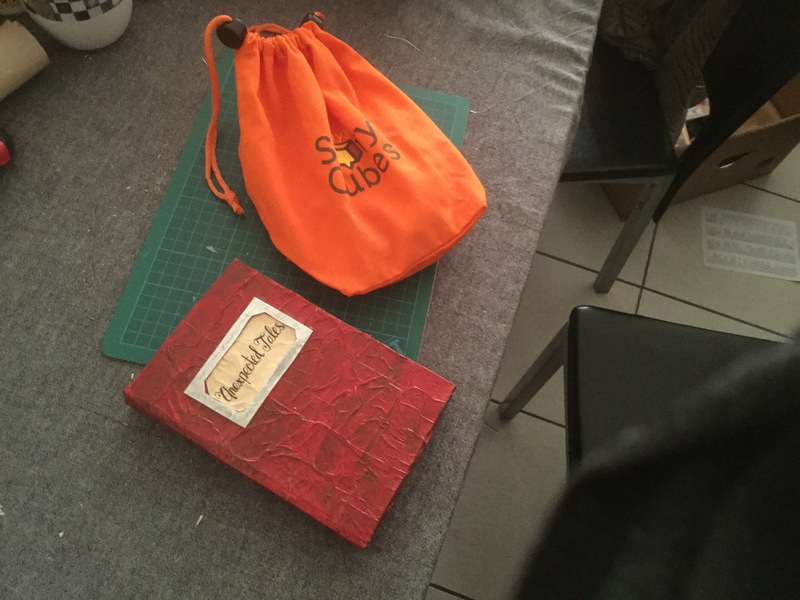 I have been researching pen and paper rpg’s off and on now for 10 years, but thought I would never find a system that would work for me, until recently I found untold but due to it’s size, wasn’t all that portable, so I set out to make my own portable version of the game.I succeeded in making it more portable, but struggled with using it for story writing, because it isn’t that versatile, if you play it by the rules that is. It helps you tell stories within a certain structure by rolling dice, but nothing out of that much, this is a little to light on rules for me. I love the system, but I need something a little more. I can use this as a jumping off board, but just yesterday I found Fate Core, which uses also a more narrative instead of a math-heavy rules style, which works great for telling stories, and might work better than the more restrictive form of Untold. Here is my more portable version of untold. My version of untold is one complete package, except for the dice. 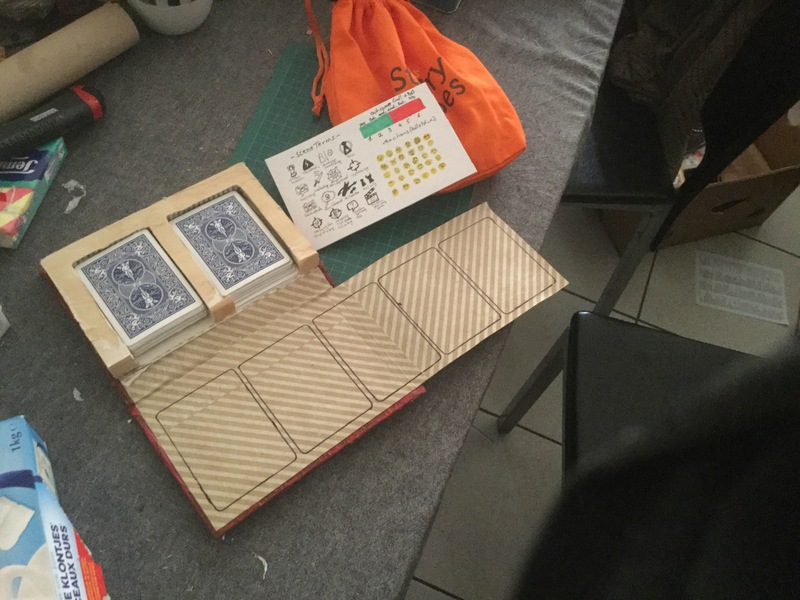 It holds all the cards, a player board and the meaning of the icons, in one complete package. I tried to make it as portable as possible and had to make some sacrifices. 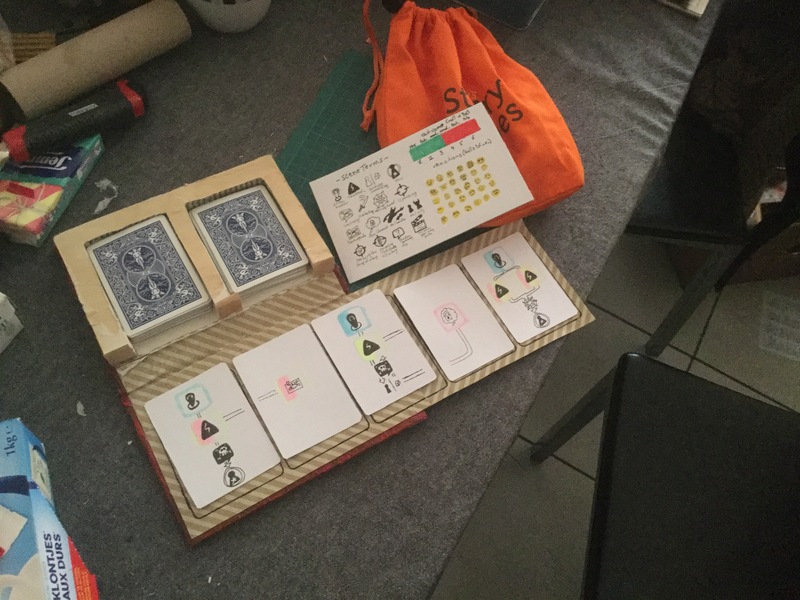 I couldn’t use the outcome cards and the reaction cards, because that would make everything more bulky than it had to be, so I decided not to make those, but everything else I basically kept in. I made the cards approximately 75 percent of the original height and made them more portable. I love how neat it looks now, and how portable it is. I will probably use it for nanowrimo in November, or use a mix of it together with Fate Core, I haven’t decided yet. I will talk about how I am going to adapt Fate Core so it can be played solo, and the rory story cubes will be used in the whole endeavor somehow, I know for sure. (I love the big dice bag as well. Great product).